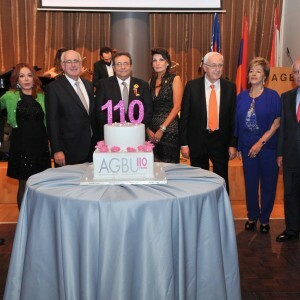 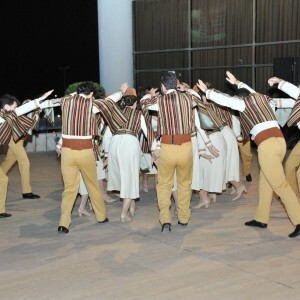 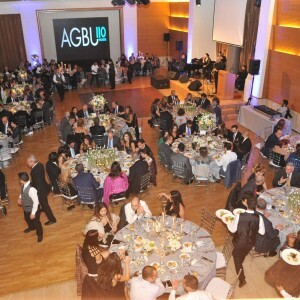 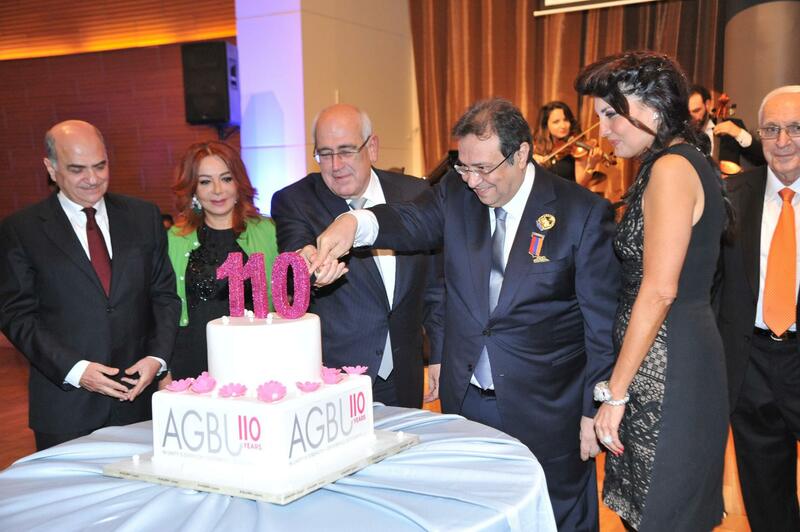 Celebrating the 110th anniversary of the Armenian General Benevolent Union, the District Committee of AGBU Lebanon organized a fundraising GALA Dinner on Saturday, November 12, 2016 at AGBU Demirdjian Center. 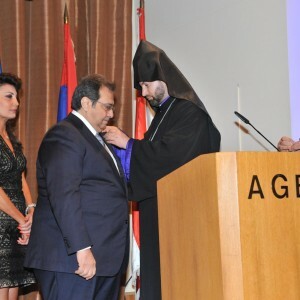 During this special event, AGBU Lebanon president, Mr. Gerard Tufenkjian, was bestowed upon with the Order of St. Nerses Shnorhali, an encyclical from His Holiness Karekin II, Catholicos of All Armenians. 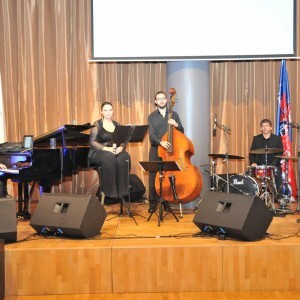 Furthermore, Minister of Diaspora H.E. 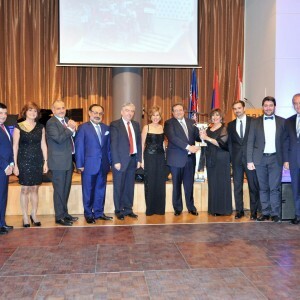 Mrs. Hranush Hakobyan bestowed upon Mr. Tufenkjian the Boghos Nubar Pasha award that was presented by the Ambassador of RA to Lebanon H.E. 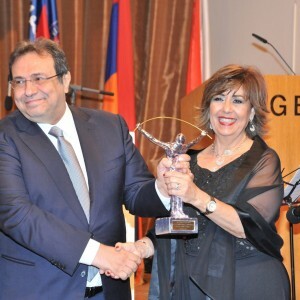 Mr. Samvel Mkrtchyan. 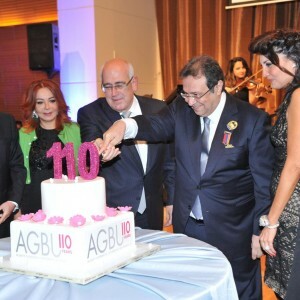 AGBU Lebanon District committee members also presented to Mr. Tufenkjian a sculpture, designed especially for this occasion by internationally renowned artist Raffi Tokatlian, in appreciation to his leadership, commitment and generosity. 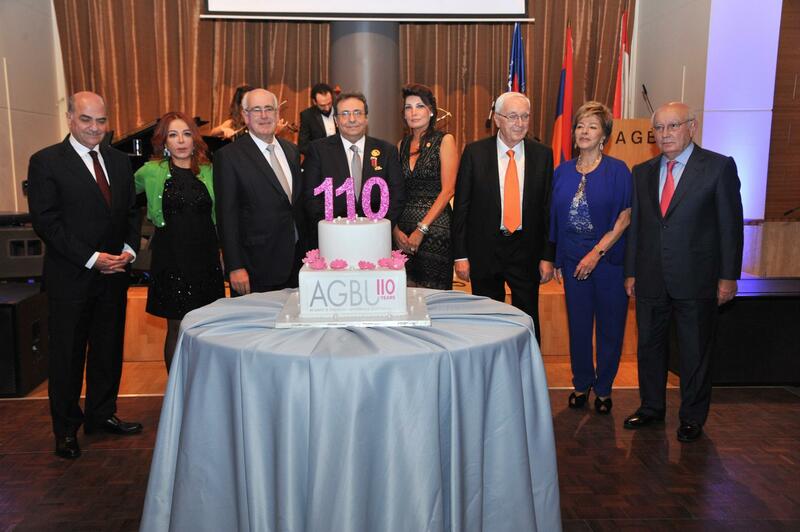 This special evening was attended by over 200 local dignitaries, community leaders, AGBU members and friends.